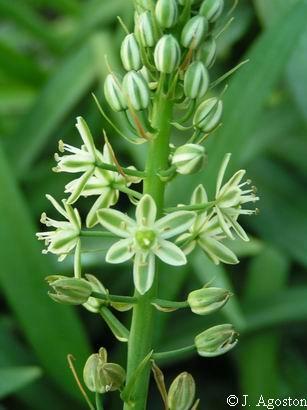 Albuca bracteata (Thunb.) J.C.Manning & Goldblatt (syn. 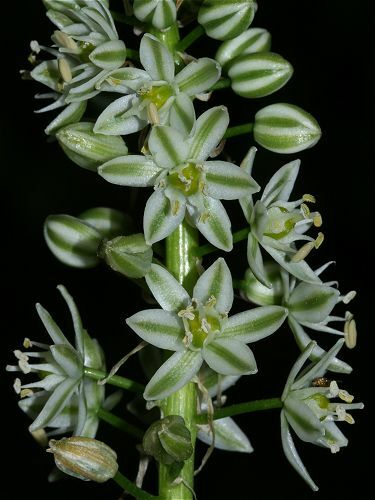 Ornithogalum caudatum, O. longibracteatum), is found on shaded slopes and forest margins from the southeastern Cape of South Africa to tropical East Africa. 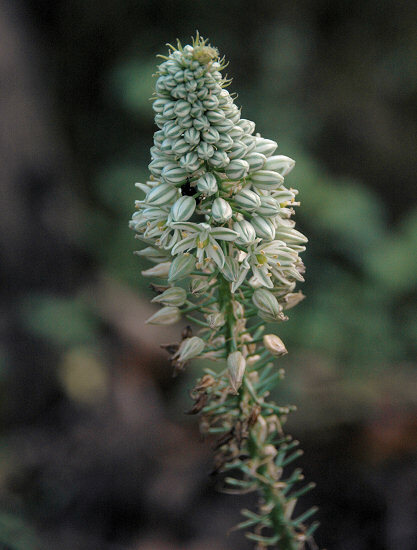 It grows to 1.5 m high and has whitish flowers with broad green keels formed in a dense raceme. 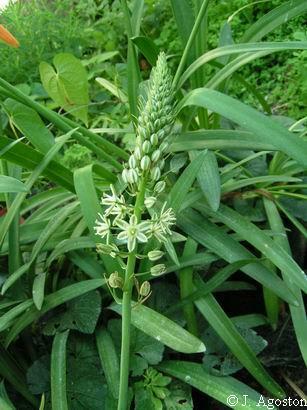 Photos of cultivated plants from Janos Agoston. 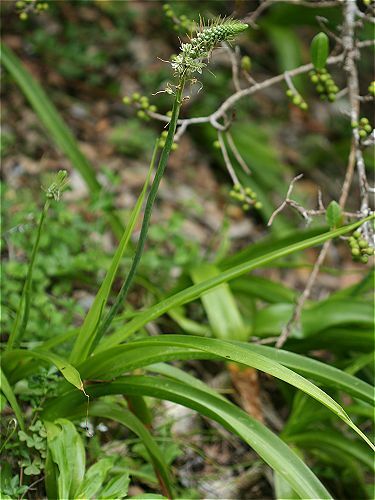 The first two photos of plants below photographed in the wild were taken by Andrew Harvie. 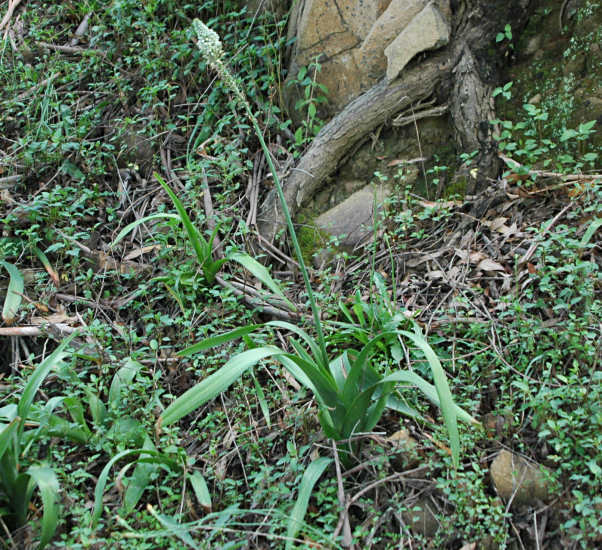 The next two taken in the Drakensberg Mountains were taken by Bob Rutemoeller and Mary Sue Ittner.